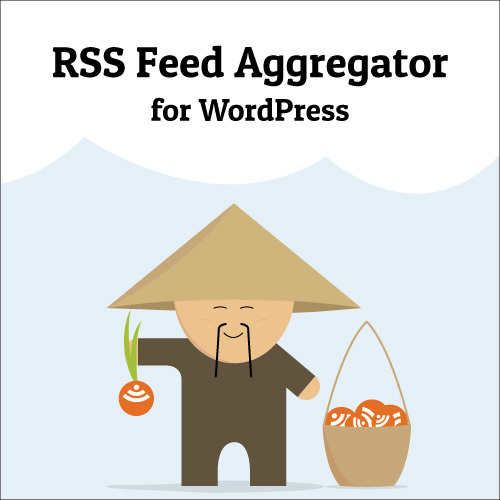 As many of you know, one of my plugin projects is WP RSS Aggregator, a plugin designed to facilitate the importing of RSS content into WordPress blogs. I’ll be giving a 20% discount on all WP RSS Aggregator add-ons for those who leave a comment with their use case. It could be a website you have already implemented or your idea for a new project. I have a news aggregator and I used to use 🙂 IFTTT to retrieve the rss feeds and then to send them to wordpress. I have recently disconnected it from the website because I want to redesign it and maybe find something better. WP RSS Aggregator seems like an interesting solution, I will give it a try after the redesign is done. Look forward to seeing what you come up with Cristi! I use WP RSS Aggregator to create a collection page of News Items on my website. Allowing not only me but any one else the ability to browse through pages of news items from over 20 sites. Thanks for sharing Greg, that seems to be a popular use case. We’re seeing many users use it on company intranets for example, to ensure that their employees get easy access to the latest industry news. 1-At contrasetup.com, I do use WP RSS Aggregator plugin to take information from my other two sites through RSS. The plugin gets job posts from my wpjobs.com and phphire.net sites and publish them on my contrasetup.com site. So, I don’t have to publish jobs manually on contrasetup.com. It is such a huge advantage for me that take me off doing it manually. Very good time saver. 2-I do use get WordPress tips from various sites that publish their content via RSS using WP RSS Aggregator again. At wpjob.com there is a section named “WordPress Tips”. My visitors see the tips when they click there. Information there is from various WordPress sites that they publish their content via RSS. Similarly, on wpjobs.com, on my right sidebar there is WordPress Job Roll and WordPress Tips again. All these come through RSS. 3-My other site phphire.net is similar. I have got PHP Job Roll on my right side bar. This information is from sites that they publish their content via RSS. I can say that I use WP RSS Aggregator very effectively. I am thinking to use rss to create a local blogger circle and feed latest deals in my city.